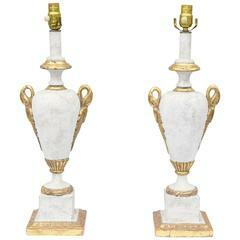 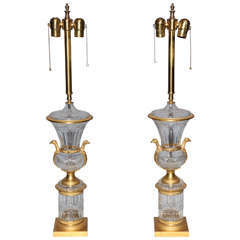 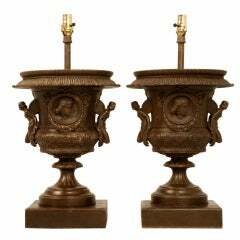 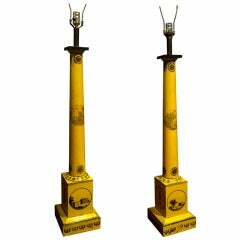 A Pair of Italian Urn-Form Carrera Marble Lamps; for Marbro Lamp Co.
An Italian Mid-Century large-scale neoclassical glazed ceramic lamp. 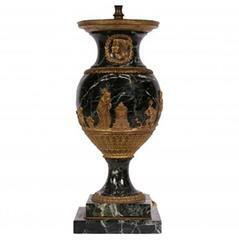 The urn form with yellow black, red and white swirls in an agate ware style, white plinth. 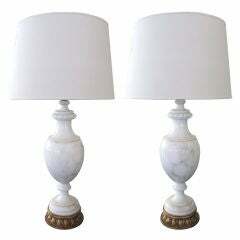 Some minor old restoration to chips on the base. 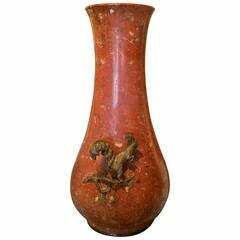 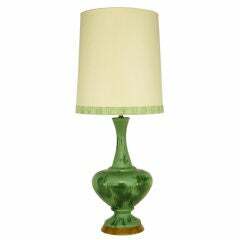 American art pottery lamp in the Arts and Crafts style. 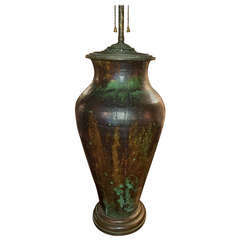 Green and brown glazed with original bronze mounts. 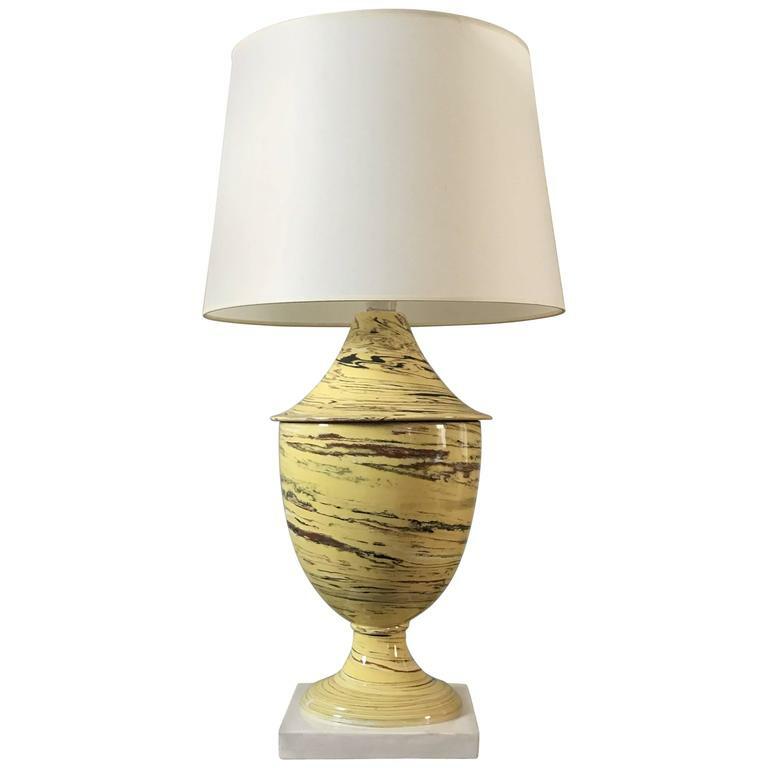 Elegant ceramic urn-form table lamp with a dual-tone and aged glaze. 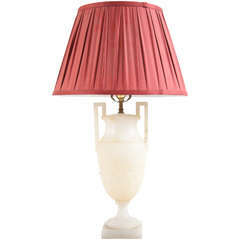 Gilt brass base and custom shade.